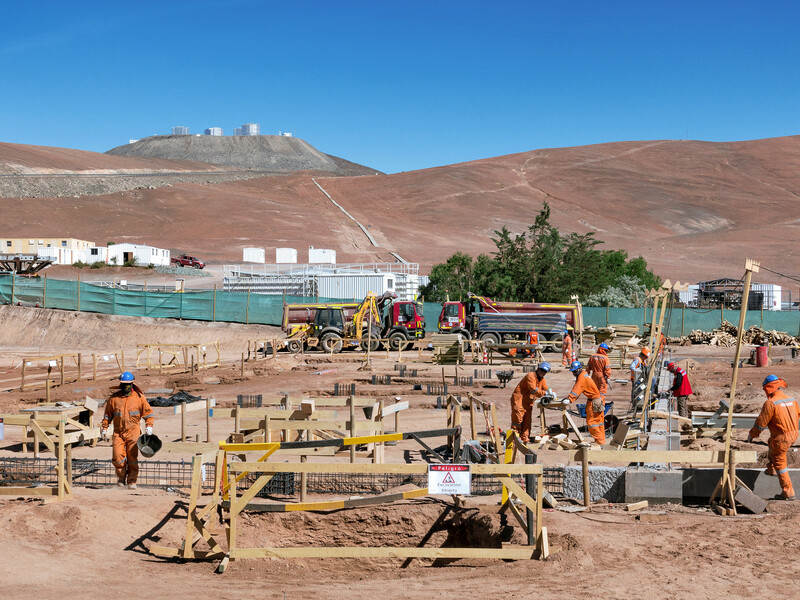 This photo shows the future site of the Technical Facility for ESO’s Extremely Large Telescope (ELT) — and construction is well underway! 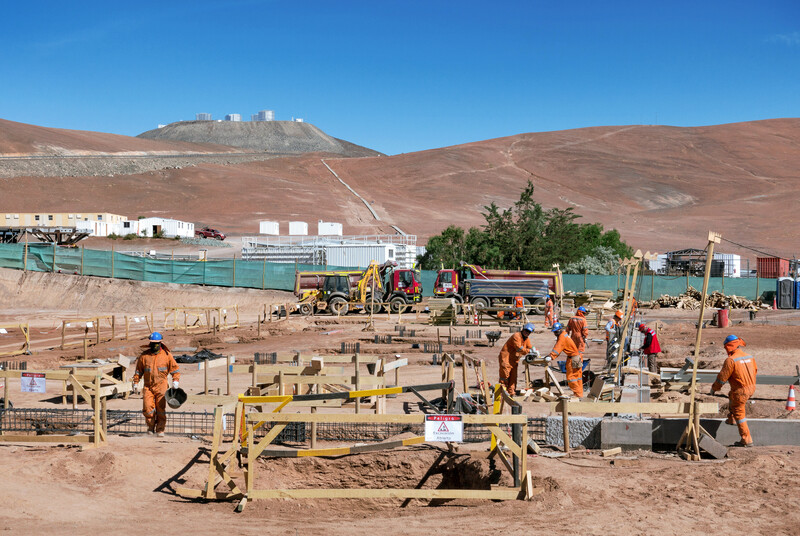 Situated at ESO’s Paranal Observatory in the Chilean Atacama Desert, this facility will be the maintenance hub for the ELT, which will take up residence on Cerro Armazones. 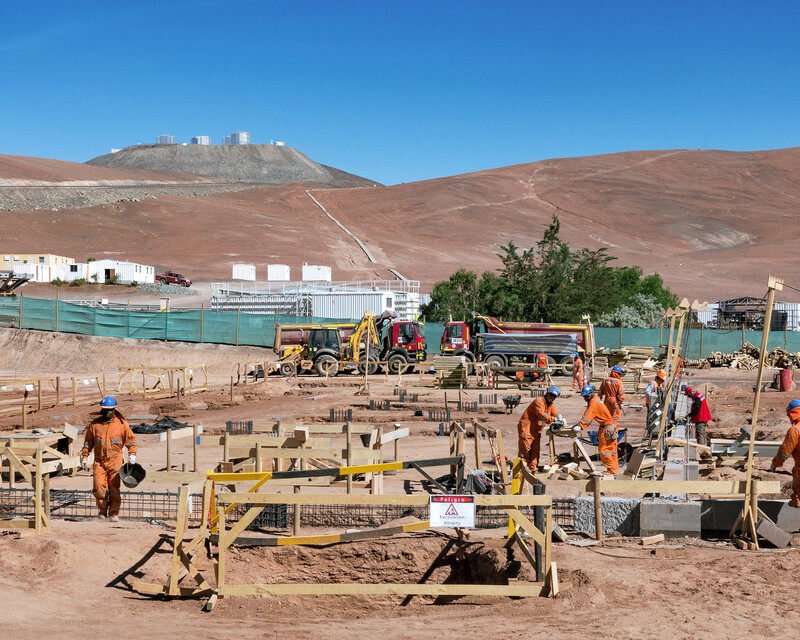 Behind the site, ESO’s Very Large Telescope (VLT) can be seen standing high up on Cerro Paranal. The ELT’s 39-metre primary mirror will be made up of 798 hexagonal segments, and will be controlled by a system of very-high-precision sensors. This technology, known as active optics, will allow the telescope to continually adjust each individual segment to account for disturbances such as temperature, gravity and pressure due to wind, in order to maintain the perfect shape to enable optimal observations. To maintain tip-top quality, this colossal mirror must undergo a regular process of stripping, washing, and recoating. Since each individual segment will need to be recoated once every 1.5 years, the ELT will be kept running by removing, recoating, and replacing approximately two segments per day. 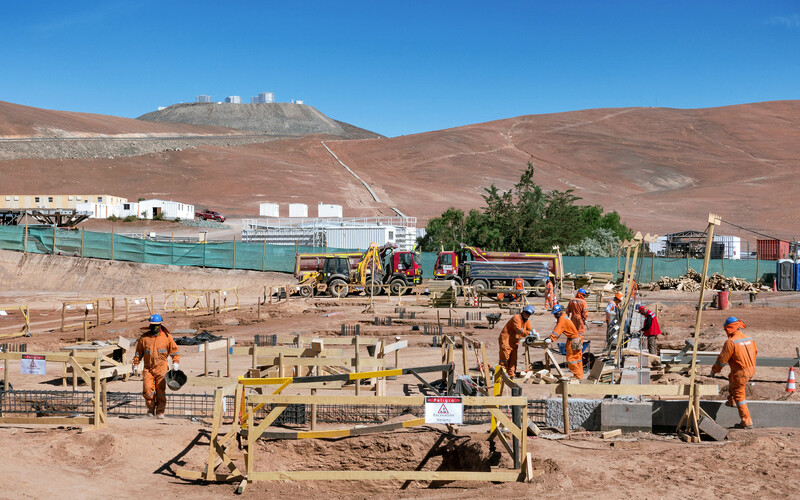 The ELT Technical Facility will perform this maintenance, as well as handling the recoating of the secondary and tertiary mirrors and the initial assembly of the numerous mirror segments.